Land clearing is an essential step in many small- and large-scale construction projects. Trees, stones, soil, and other vegetation must be moved to create an even foundation. But before you rent earth moving equipment, it’s important to know which technology is right for your project needs. Below are a few of the main types of earth moving equipment and when to use them. Bulldozers are self-propelled machines equipped with large front blades designed to push heavy amounts of dirt, rocks, and other materials. It also has a rear attachment to break up hard rubble. Bulldozers are used on a wide variety of terrains to relocate earth materials, level land, and crush boulders. 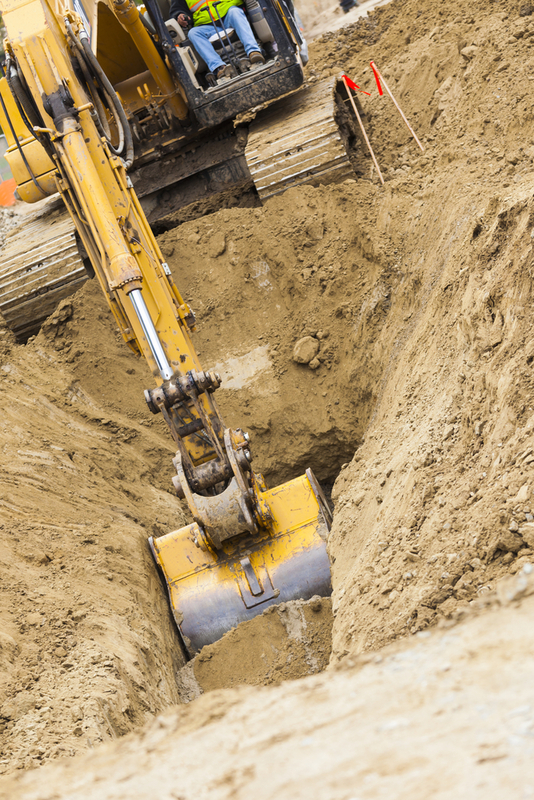 Excavators are used to dig trenches and holes, lift heavy materials, and break up large rocks. These machines have hydraulic arms and bucket-attachments; they come in a variety of sizes depending on the application needs. For instance, compact models are useful for small-scale demolitions and plowing snow, while larger excavators are recommended for demolition, pile driving, and mining. A backhoe loader features a front-mounted shovel and a rear-mounted loader and bucket. The front of the machine is designed to load and move loose material, while the back of the machine is utilized for excavation purposes. A backhoe can also be fitted with various attachments to perform everything from rock breaking and trenching to material mixing. If you need earth moving equipment and operators for an upcoming construction project, turn to the team at Wilson & Roy Construction. For more than 50 years in the industry, this locally owned and operated company has offered high-quality earth moving equipment rentals and septic system installation services to clients throughout Pulaski County, KY. They are known for their exceptional customer service and reliable results. Call (606) 636-6457 to speak with a friendly representative about your needs; or, visit their website for more on their services.